Here's a new take on a classic. At least a classic around our house. Funny thing, I double checked my food diary recently and this recipe (or a version of it) was the most repeated thing I cooked last year. They always please. They are VERY FAST and VERY EASY. Also I plan ahead. Occasionally a box cake mix goes on sale. And occasionally a brick of cream cheese goes on sale. With a little planning, and a well stocked sale priced pantry, I pretty much always have the ingredients to make these. So if the neighborhood book club my wife belongs to is going to be meeting at our house.. I make 'em. Need a dessert to take to someone's house... these work great Decide at 5 PM you want a dessert after dinner... These not only work, they are perfect. I did happen to have a little bit of crushed pineapple left over from another recipe. So I tried a new version and they were PERFECT! Sweet, a bit tropical soft and chewy with a crisp shortbread textured bottom. I'm going to guess this will make the "most cooked recipe" list again next year! 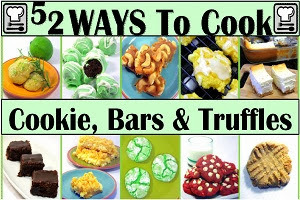 Keep Scrolling down to take a look at this easy to follow recipe! Mix dry cake mix, 1 egg, and oil until crumbly; reserve 1-1/4 cup. Press remaining mixture lightly into an ungreased 7x9 inch pan. Beat cream cheese, 1 egg, sugar and crushed pineapple until smooth. Spread over baked layer and then sprinkle reserved crumb mixture over the top.